If you have a garden, chances are you might be growing mint – mint is one of those plants that can grow all over the place. Before you know it, you’ll have mint coming out of your ears and you might even question why you wanted to have that plant in the first place. I think it’s one of the best plants to have an abundance of – the smell is incredible. I love having too much mint because there are so many fun ways to use it – I can’t seem to get enough of it really, and it’s one of my favorite herbs to grow abundantly. Just like an abundance of basil or parsley, or even cilantro, mint can be used to make pesto too – there really isn’t any better smell than crumbling mint between your fingers. 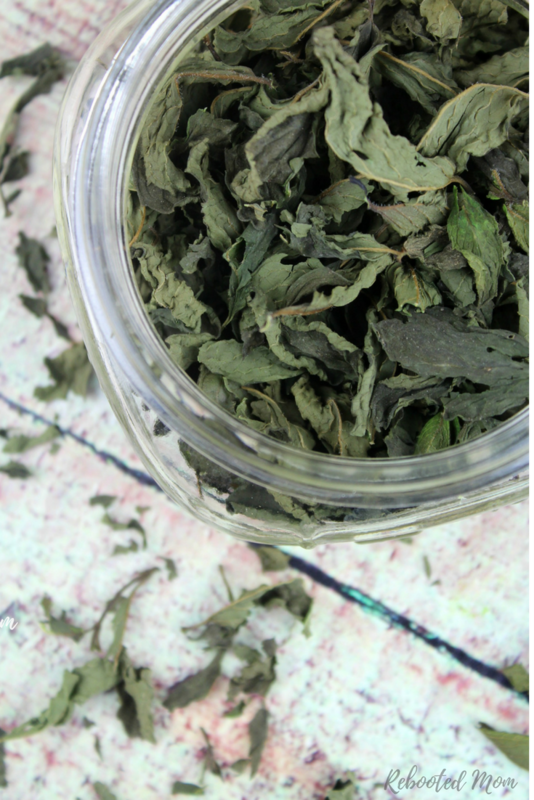 Though most would assume that you need a dehydrator to dry mint, you really don’t at all. You can hang mint to dry but if you are impatient, this method will be much faster – and you can do it in just a few short hours while you are at home, catching up on laundry or working on a few loads of dishes. Once it’s done, you have so many options for using it up. I have been known to dry mint in the wee hours of the morning when everyone is asleep – there are so many reasons to love staying up late when the house is quiet, and dark – I feel so productive during this time of the day. I love to keep mine in a tightly covered jar and use to make a hot cup of tea – not just in the morning but after dinner or periodically through the day when I feel I need some relief. 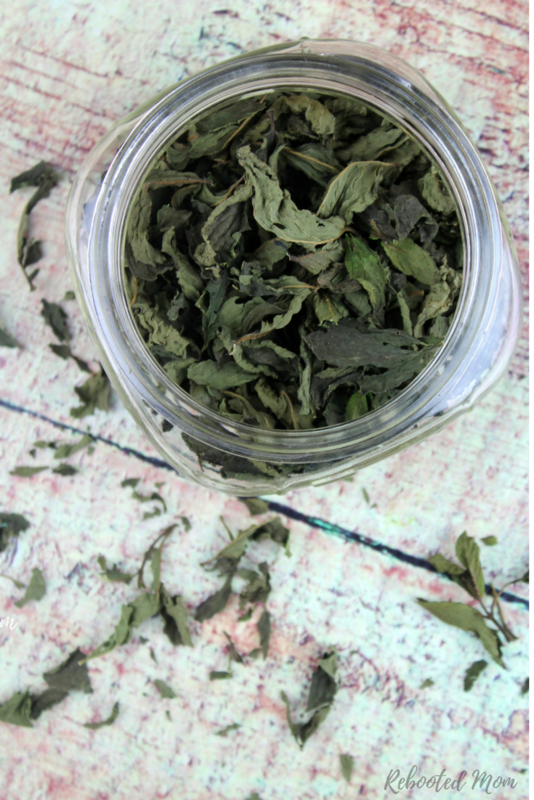 You can also soak your dried mint in a carrier oil (Sweet Almond or light Olive Oil work well), for a few weeks, making sure to turn it gently each day. That infused oil works wonderfully for making your own homemade salve recipe, lip balm or even cold process soap. The possibilities truly are endless! If you are using this to make fresh tea, then add a teaspoon or two of dry mint to a tea infuser and drop in a mug of hot water to steep for a few minutes. 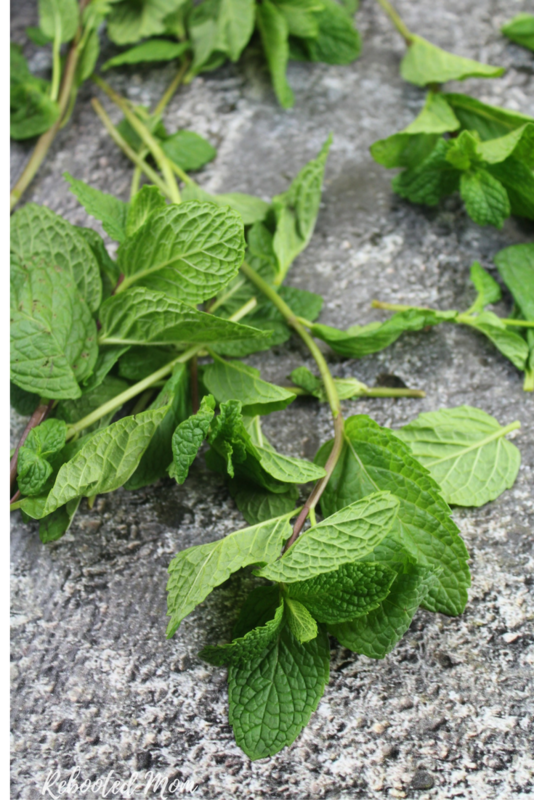 Dry your own fresh mint leaves to use in freshly brewed tea, or infused oil - no dehydrator required! Wash the mint and make sure to dry it completely (between two towels works well). Preheat your oven to 170 degrees F.
Lay your mint out in a single layer on your cookie sheet; place in the oven for a minimum of 2 hours. Check your mint after 2 hours - it should be dry; if not, cook an extra 20-30 minutes until completely dry. Remove from the oven and allow the pan to cool. Remove the mint leaves from the stems and crumble into a clean, dry jar. Store, tightly covered, in a cool pantry. 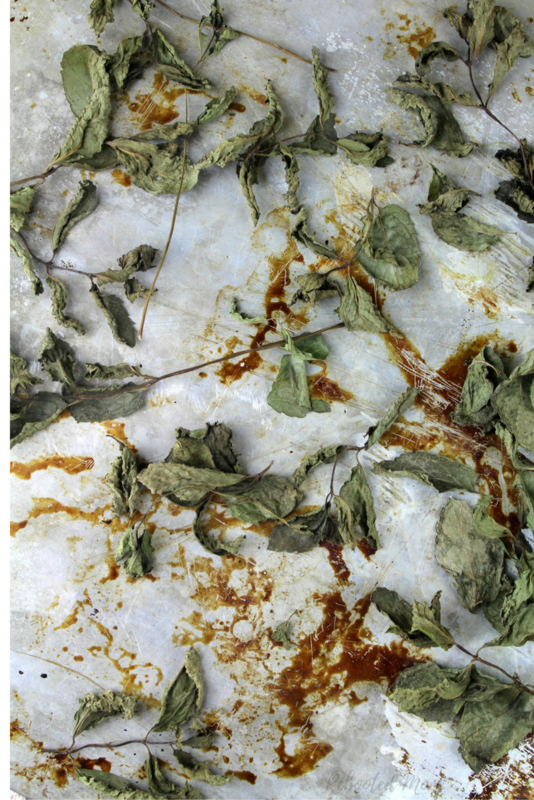 Share the post "How to Dry Fresh Mint Leaves"